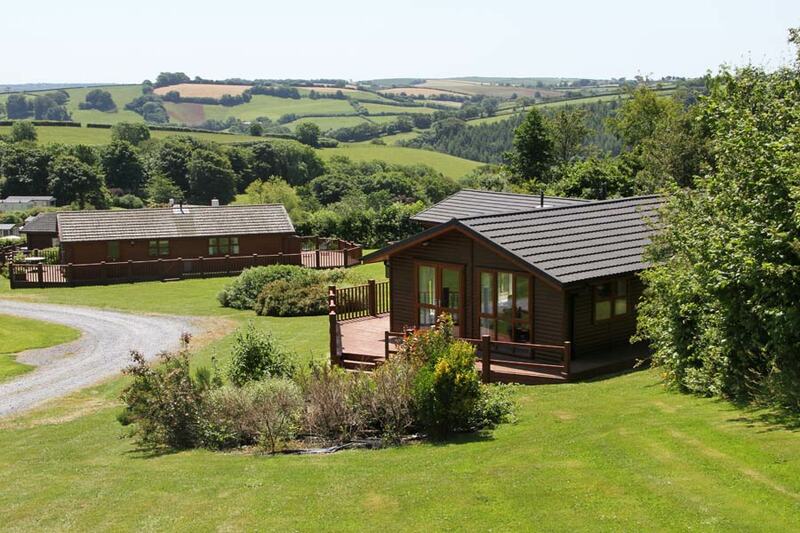 If you are looking for Devon Lodges for Sale, we believe that a luxury lodge at Webland provides the ideal solution. Our priority is to provide a park that offers a peaceful, relaxing environment. These luxury log cabins provide the perfect holiday experience. 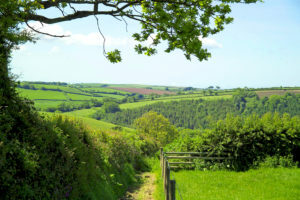 They also have the benefit of looking out onto stunning views of the South Devon countryside. All our new lodges are built to a high level, exceeding British Standard 3632. The plots give you a more substantial amount of surrounding space than standard. This adds to the feeling of space and privacy for each lodge owner. Our tree-planting programme also adds to the privacy of each plot. 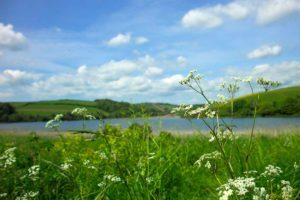 As well as all the beautiful countryside, there are fabulous walks through the private hillsides and meadows, and an overall feeling of peace and tranquillity. 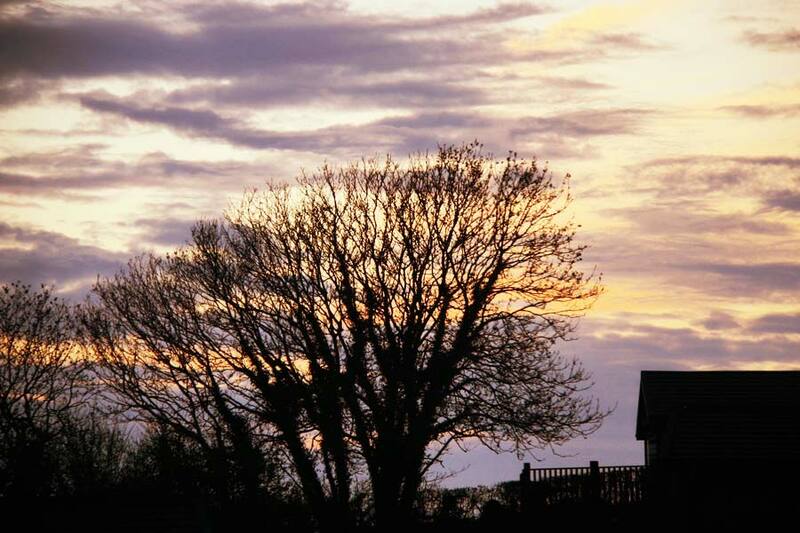 Our lodges provide the option of a full residential quality property that costs much less than a traditional property. We support you in many ways to help ensure you get the most from your holiday home. This includes regular ground maintenance programme and a security system for each lodge. If you have not seen one of our lodge homes, we believe the internal design, the quality of the build and, of course, the views will delight you. Please see the pages for each of our lodges for a detailed specification. Our new lodges in the Meadow are our largest yet, being 40 x 22 ft, and we have put the extra space to good use. 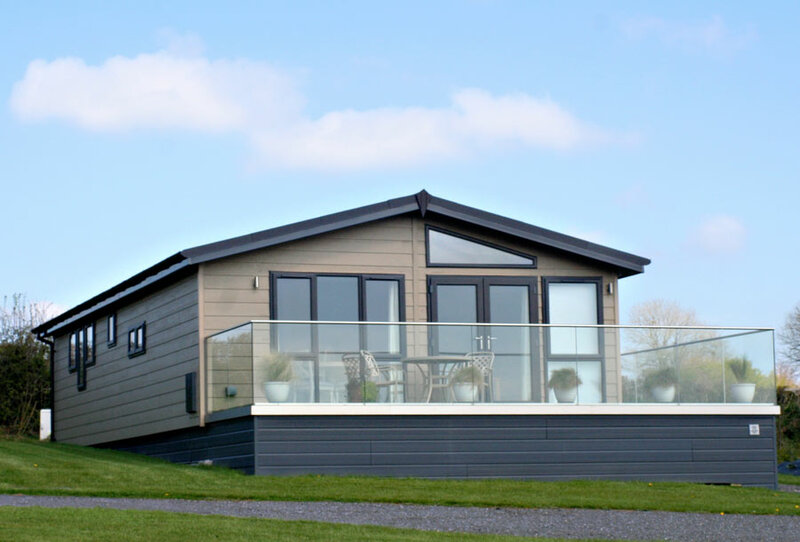 Designed in conjunction with our lodge builders, Timber Venture, we aim to provide a fresh, spacious holiday home, especially in the main living area and master bedroom. These lodges come with full length windows, and Velux ceiling windows. This makes the lodges bright and airy. 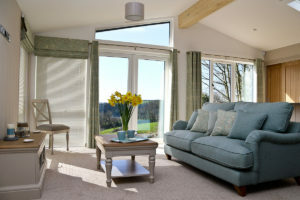 Lodges have been laid out to provide countryside views from the main lounge windows. Meadow lodge prices are in the £180-185,000 range. We can also offer 30 x 20 ft lodges on our Terrace, in either a 1-bedroom or 2-bedroom option. Our computer generated model gives an indication of what these lodges will look like. The first of these, a 1-bedroom design, arrives at Webland in May. These lodges are an attractive solution, modern design at an affordable price. Terrace lodge prices are in the £130-140,000 range. 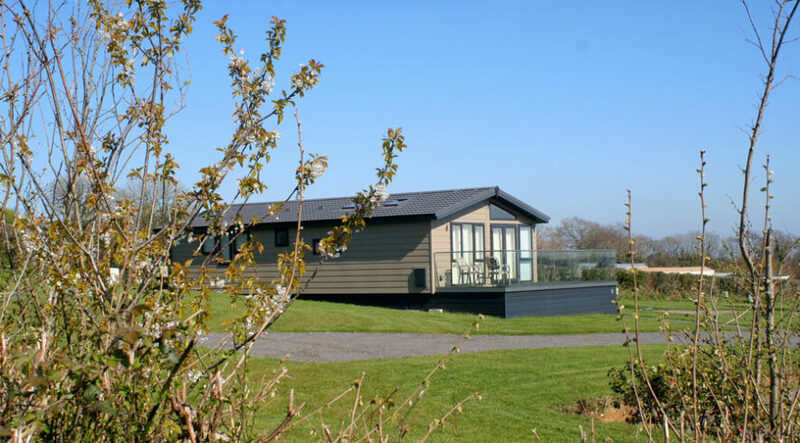 The pre-owned Spinney lodges offer the space of sizeable 40′ x 20′ lodges but at a value for money price. They are in a developed and mature area of the park. These lodges are in a classic ‘log cabin’ design. Our owners have a history of maintaining their lodges in excellent condition. This is also partly due to the fact that we have a no commercial sub-letting policy at Webland. As a result, the lodges are only used by owners and their family and friends. That means our lodges are treated with a higher level of care and attention. 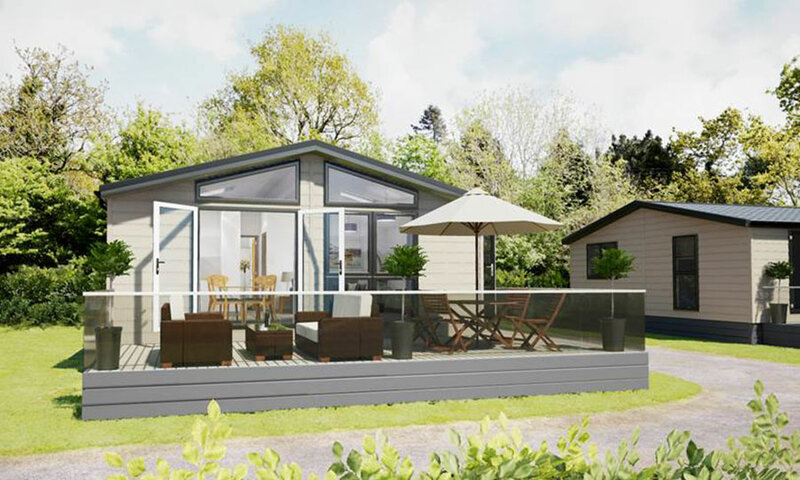 We also put our pre-owned lodges through a review and carry out refurbishment when required. Pre-owned lodge prices are in the £95,000 – £130,000 range. Owning a lodge at Webland is an all year round experience. South Devon is a great place to visit throughout the year. The mild climate means that the weather is often better here than in other parts of the country. A popular holiday destination, the area has a wide variety of places and activities to explore and enjoy. There are often local festivals and carnivals going on. Nearby South Brent, for example, has both a summer and a winter carnival, and both are an enjoyable day out. The winter carnival display through the village provides a blaze of light through the darkened streets. Autumn is an excellent time for walking, and the countryside can be at its most beautiful as the leaves change colour and the soft autumn light shines through the trees. Some lodge owners also choose to come down to the Farm over the Christmas break. It can be a great place to unwind and to enjoy crisp country walks and then get back to the comfort of your centrally heated lodge. For more information on prices and availability, please ask for one of our information packs. We would also recommend that you come down and pay us a visit so that you can see the lodges, the park and the views for yourself. We would be delighted to welcome you and show you around. If you would like to visit, please ring our office on 01364 73273 and Jill and Sharon will be pleased to help you with arrangements.